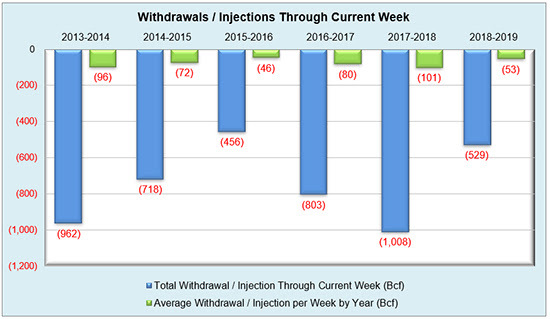 After a small reclassification of 4 Bcf, the implied flow of this week’s supposedly bullish withdrawal was reported at 87 Bcf, which exceeded market expectations by over 10 Bcf. 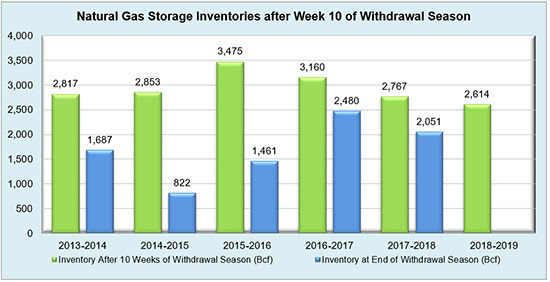 The last two weeks have seen storage inventories fall more in line with last year’s reserves, particularly due to a massive withdrawal of 359 Bcf last year, but they are still 15% lower than the five-year average. 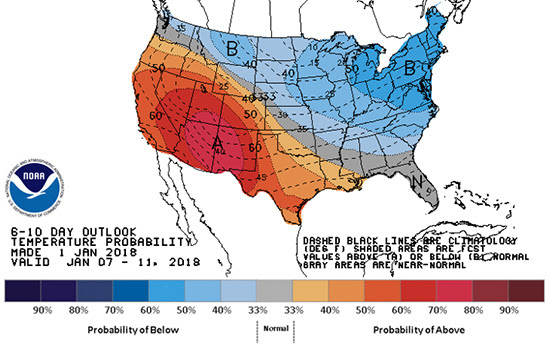 Mostly temperate weather has provided a breather for a market that continues to see volatility left over from last year, but expected cold at the end of January could possibly have the prompt month hold over $3/MMBtu if “…the early morning and midday weather data see solid cold potential Jan. 20-25, especially the GFS model that remains the most intimidating/coldest of the datasets,” as stated by Natural Gas Intelligence. 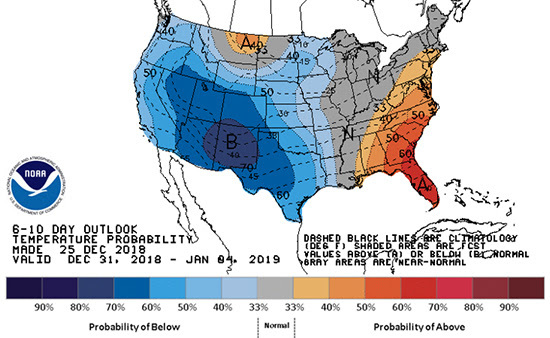 NYMEX seemingly has returned to a mostly sideways trading pattern for now, but we still have a few weeks left of winter that could show otherwise. 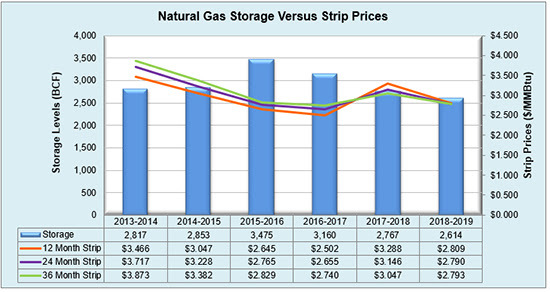 Working natural gas in storage currently stands at 2,614 Bcf, which is 204 Bcf (7.2%) lower than this time last year and 464 Bcf (15.1%) lower than the five-year average. 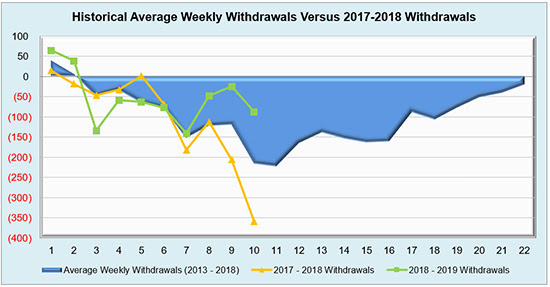 The February 2019 NYMEX Futures price began the day around $3.05/MMBtu prior to the report’s release, but has since dropped to $3.02/MMBtu after the report was posted.